You no longer need an ethernet cable to run your smart home with a Samsung SmartThings Hub. 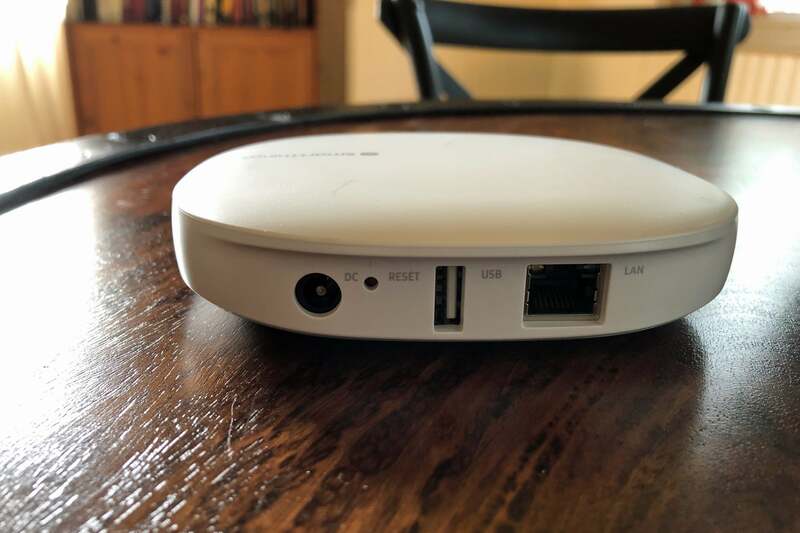 Samsung SmartThings has been the leading product in the smart hub space pretty much since the day it was released, but one small problem has long held it back: It had to be tethered to your router with an ethernet cable. For many users, including myself, that one problem was a deal breaker. There are just two available ethernet ports on my router, and I’m just not interested in turning my living room into a server closet with switches and cables running all over the place. With the third-generation SmartThings Hub (Samsung model number GP-U999SJVLGDA), Samsung finally enters the wireless age in earnest. 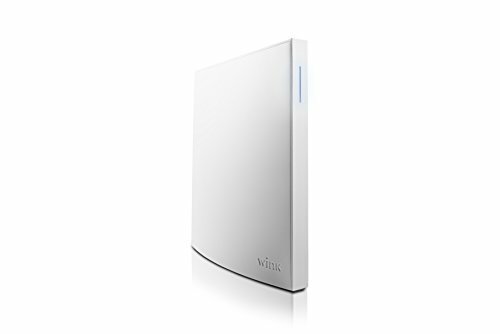 It still provides the option to connect the hub to your router via ethernet, but Wi-Fi connectivity is the default. As with the previous generations of SmartThings, the third-generation Hub is designed to bridge the gap between your smartphone and a wide variety of wireless smart home products—particularly devices that use the ZigBee and Z-Wave protocols. 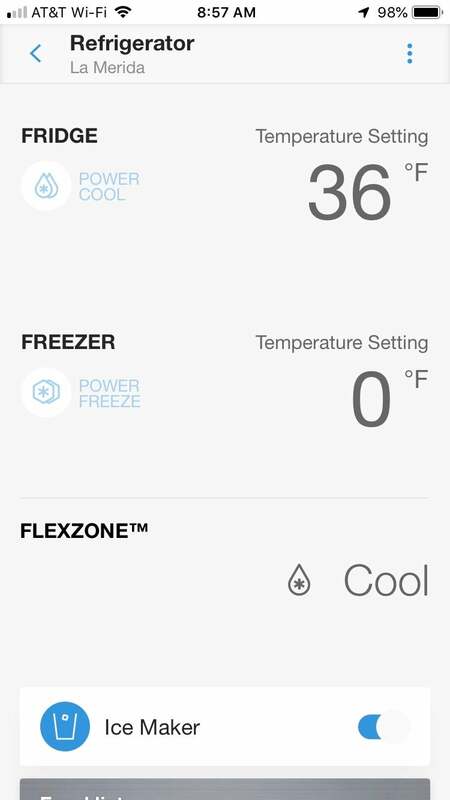 You can also use SmartThings to control Wi-Fi gear. Samsung wisely retained an ethernet port, for enthusiasts who prefer the assurance of hardwired ethernet, but the third-gen SmartThings Hub can also join your home network over Wi-Fi. Samsung counts 329 compatible products on its “works with” page, and while there’s a bit of duplication (seven of those products are different Philips Hue bulbs, for example), that level of support is not only deep, but also broad, with smart home products running the gamut from sensors, switches, and light bulbs to smart deadbolts and Samsung’s home appliances. SmartThings also supports Bluetooth devices now, but only on the Android version of the SmartThings app, not iOS (a fact that is barely documented). Nest’s product line (cameras, smart thermostats, smoke detectors, doorbells, and door locks), however, is still not on that list. The same goes for August smart home products. And Apple fans will want to know that SmartThings is not compatible with Apple’s HomeKit ecosystem, either. As you would expect, Samsung’s SmartThings Hub (2018) can communicate with many of Samsung’s smart appliances. 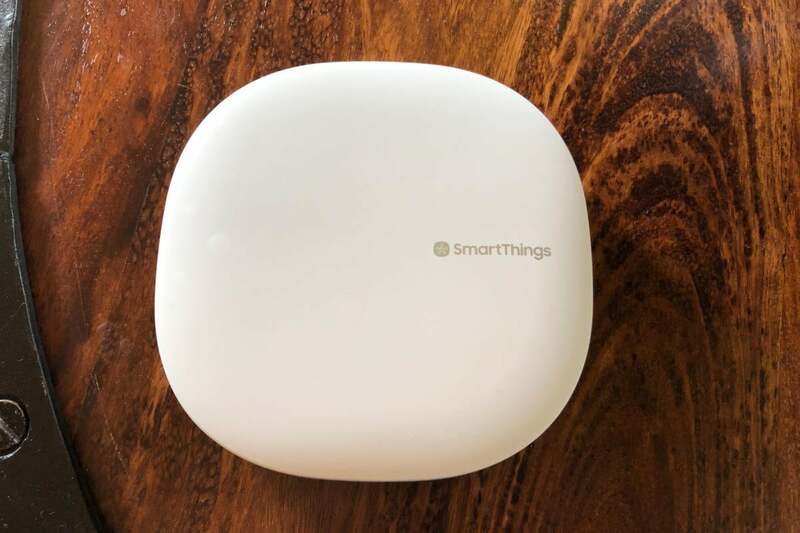 Cosmetically, the SmartThings hardware has been given a nice upgrade: The hub is roughly the same size and weight as before, but it’s more streamlined now: a smooth, rounded square with less of an industrial appearance. There’s a USB port on the back of the device, but this doesn’t appear to have any actual utility. Of larger note: This latest version doesn’t have a battery backup; perhaps Samsung has concluded that a smart home isn’t of much use if the power’s out anyway. While SmartThings’ setup is largely a tap-and-enter-passwords affair if you’re starting from scratch, upgrading from an older SmartThings hub is a surprisingly not-simple matter. There is no migration path, so you’ll not only need the new version of the SmartThings app (more on this later), you’ll need to reset and reconfigure all your devices from scratch. The new app is a key point to understand here, because the new SmartThings Hub is not compatible with the older version of the SmartThings app. Whether you’re coming at this as a new user or have had your smart home set up for years, you’ll need to start fresh. That makes it very hard to recommend upgrading from a second-generation SmartThings hub unless you really need that Wi-Fi connectivity option. 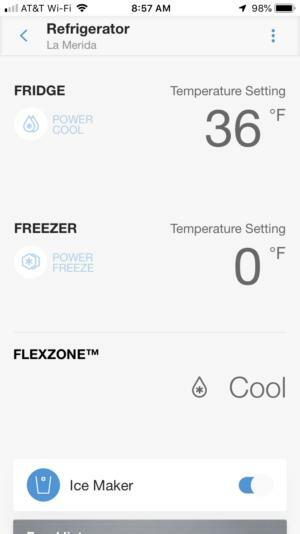 And I must say, while the new SmartThings app certainly looks better, it is a big step back when it comes to actual operation. 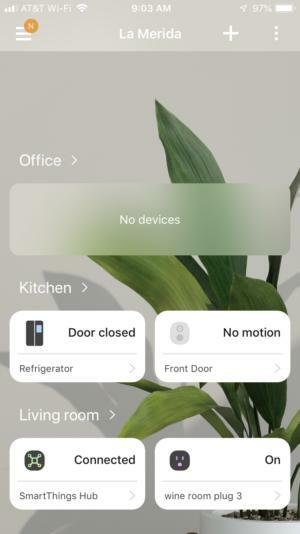 Designed as a semi-clone to the iOS Home app, the default view of the primary screen breaks devices down by room, with each further populated with its respective devices. It’s easy enough to navigate, but my troubles became more serious when it came to adding devices to the system to control. While it was simple to add smart plugs and even cloud-based devices like a Ring doorbell, SmartThings choked on devices for which it has explicit support. The new Samsung SmartThings app organizes your smart home devices according to the rooms in which they’re located. I couldn’t get my Samsung smart TV to connect to SmartThings, for example, and connecting my Samsung refrigerator required a call to tech support. I also had no luck getting Netatmo devices to connect. In that case, after being told I would need to enter my login credentials, the next screen with which I was presented was blank. I never got some of these devices working on the new hub, a problem that was complicated by having both the app crash and the hardware lose its connection to my network during my testing, requiring a reboot. I couldn’t even get the SmartThings “report an error” system to work to ask for help at any time, resorting instead to Samsung’s online chat-based support or the phone. Beyond this, the app supports scenes and automations, including several pre-loaded smart scheduling systems that let various devices work in concert. Of course, SmartThings still supports Amazon Alexa, Google Assistant, and IFTTT, and that’s even better news for users who want to add things like voice control or the ability to link together devices that SmartThings doesn’t support directly. Despite difficulties with its app (and hopefully these are simply growing pains at this point), it seems clear that SmartThings is still the smart hub to beat, thanks to its vast support for myriad devices and a general maturity that other hubs just can’t match. The only other real contender in this space, Wink, is lately dogged by speculation that it is going out of business. Although the company’s public relations department has not responded to email queries for months, the platform’s tech-support group remains active and was responding to reported service outages as recently as March 26. Some enthusiasts had hoped that Amazon’s Ring division would step up to take on SmartThings, since the hub in the Ring Alarm has everything it needs to support a broader smart home system, but that product hit the market in July of 2018 and we’re still waiting. All that said, the bigger question might be this: Do you really need a smart home hub in 2019? We’re seeing increasing numbers of smart home devices that operate on Wi-Fi, and Wi-Fi devices don’t need a hub as a bridge to the cloud. They can also communicate directly with Amazon Echo and Google Home smart speakers, and those can in turn handle tasks such as grouping, scheduling, and—with models equipped with displays—even streaming footage from your home security cameras. Reduced power consumption and native mesh networking, on the other hand, remain the biggest advantages that the ZigBee and Z-Wave platforms offer. Wi-Fi connectivity’s thirst for electricity makes it difficult for Wi-Fi smart home devices to run on battery power. Z-Wave and ZigBee devices sip electricity, and each generation has gotten more efficient. Plus, every Z-Wave and ZigBee device you deploy acts as a network repeater, greatly expanding the area that a SmartThings hub can cover. Mesh Wi-Fi routers are now available (and Samsung offers a SmartThings mesh router of its own that has an integrated SmartThings hub), but they’re more expensive than conventional Wi-Fi routers. So the bottom line is that right now, the SmartThings Hub remains the most DIY-friendly path to a fully featured smart home, doubly so if you’ve already invested in Z-Wave and ZigBee devices. If you’re already using the second-generation SmartThings Hub, on the other hand, you should probably stick with it. Migrating to the third-generation hub will be painful (and for most people, unnecessary). SmartThings remains the easiest path to a DIY smart home, but there’s little to be gained—and a lot of pain to endured—from upgrading from the second-generation hub.